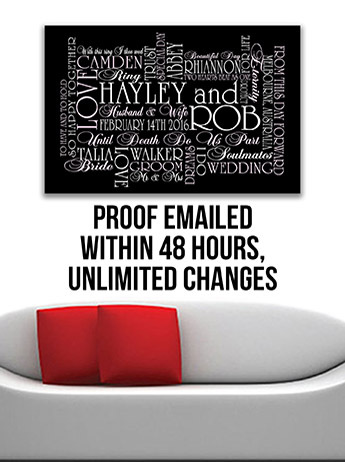 We had a very busy February as more and more customers discover our website and realise what we already now, that a bespoke canvas print makes the perfect gift idea for almost any occasion. This months artworks we're mostly created as wedding aniversary gifts, wedding gifts or birthday presents. 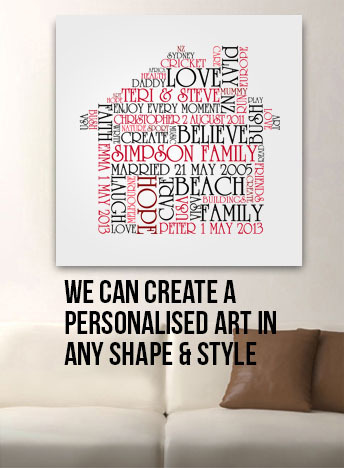 A personalized canvas is the perfect unique gift idea. 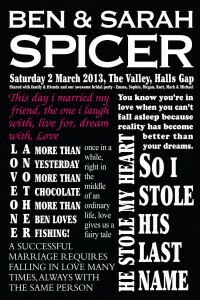 This unique looking design was based on a concept created by a customer and was designed for a wedding anniversary. The style works well with a combination of formats and fonts keeping it interesting. Apparantly the recipiant (Ben) was overwhelmed when he recieved it! The classic bold black and white colour scheme with a splash of purple really helps the art stand out. 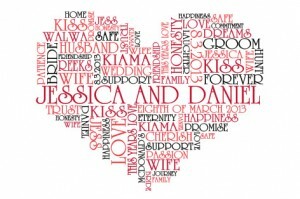 The wedding hearts are a popular design, especially in the great font seen on this example, they have a stunning classical look and the design allows for a lot of wording to be used to really convey what is wanted to be said. 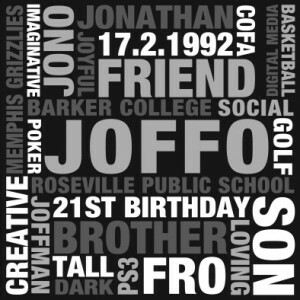 These designs can be ordered on this page https://www.beyondaword.com.au/personalised-artwork/valentines-gift-ideas/ under the valentines gift ideas section of the website. The New Born Baby art designs are also one of the more popular styles. The standard colour schemes are a pastel blue and a pastel pink however we have created many colour variants of these for example a nice black and white variant was created last week. This example here uses the standard mixed blue colour scheme with some scarlet letters to add a splash of welcome colour to the personalized artwork. Simple but very effective design stemmed from the new born baby gift art designs shown above but took on a life of its own, its now a popular style in its own right and is used for a range of occasions such as wedding anniversaries, wedding gifts, unique birthday presents and much more. The black, grey and white scheme is absolutely timeless. 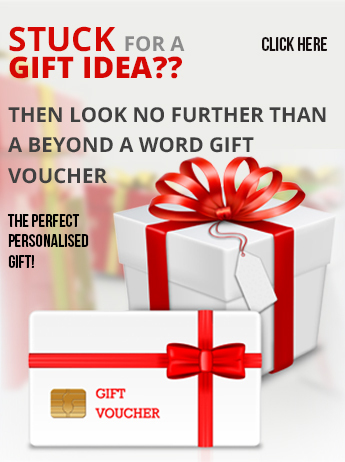 Surprise you're loved one on their next birthday or your wedding anniversary with a piece of personalised art and show that you've really given some thought about their present this year! More designs coming next week… watch this space….